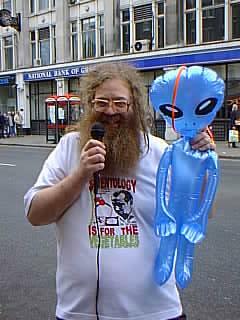 Dave in fine form with the new guest picketers: inflatable space aliens. There is a very handy strap for hanging the alien around a neck or an arm. 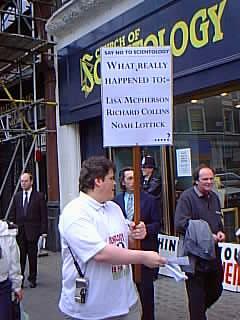 Another guest picketer (and undoubtably the star of the show) was Andreas Heldal-Lund.